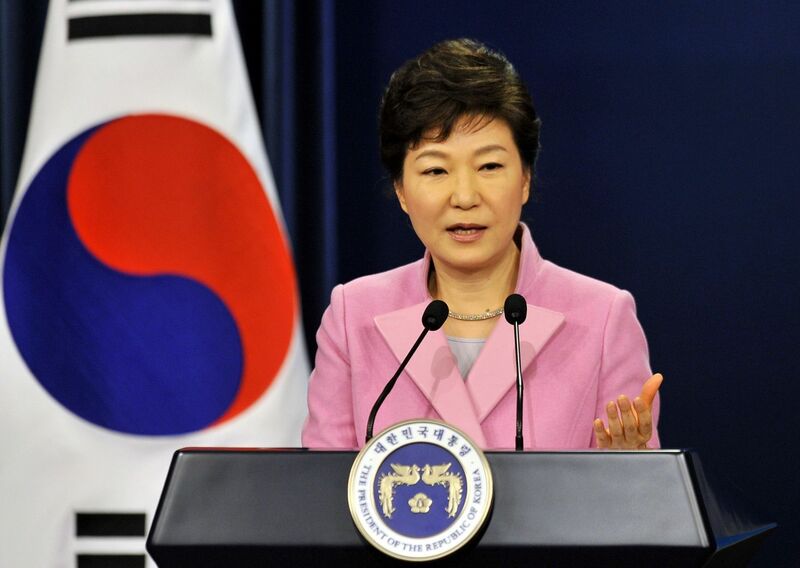 ( April 25th, 2016) TOKYO — North Korea appears to be preparing to conduct another nuclear test, South Korean President Park Geun-hye said Monday, citing signs of increased movement near the North’s nuclear test site. With a much-hyped congress of the communist Workers’ Party to be held early next month, Kim Jong Un appears to be trying to burnish his credentials, and analysts say a fifth nuclear test would be a sure way to do that. This came after the South Korean Defense Ministry said that North Korea’s next underground nuclear test may be of a miniaturized warhead, rather than of the standard atomic devices it is thought to have detonated ­previously. “Given the latest developments, North Korea could carry out an underground nuclear warhead test, and we are keeping close tabs on it,” Moon Sang-gyun, a Defense Ministry spokesman, told reporters in Seoul on Monday. North Korea claims that it has mastered the technology to make nuclear weapons small and light enough to fit on a missile, but there has been no proof. But an increasing number of military top brass and private-sector analysts think that North Korea either will have made or will be on the brink of making such a technological advance soon. South Korean officials warned Sunday that they had detected a noticeable increase in vehicles and people moving about the North’s Punggye-ri nuclear test site, particularly near its north portal tunnel. Analysts at 38 North, a website devoted to watching and analyzing North Korea, said that they also saw, in satellite imagery, increased movement around the north portal but that there was little evidence that Pyongyang was planning an imminent nuclear test. “Nevertheless, that possibility can not be entirely ruled out since the North may be able to conduct a nuclear test on short notice with few indications that it intends to do so,” Jack Liu, a military analyst, wrote in a note on the site. A fifth nuclear test would create another conundrum for the international community. Kim’s regime has proved impervious to coordinated efforts to change his calculus when it comes to the country’s nuclear program. Last month, the U.N. Security Council passed the toughest sanctions yet against North Korea as punishment for its January nuclear test and a long-range rocket launch in February. Yet Kim has remained defiant, issuing an almost daily barrage of threats and continuing to launch rockets and short-range missiles. An attempt to launch a previously untested intermediate-range ballistic missile last week was deemed to have failed. At a forum in Seoul, Lim Sung-nam, South Korea’s vice foreign minister, said that more pressure and punishment against North Korea is needed. In addition to supporting the tough U.N. resolutions, Park’s government has brought in unprecedented bilateral sanctions against North Korea, closing an inter-Korean industrial park and cutting off all humanitarian aid except to babies and pregnant women.